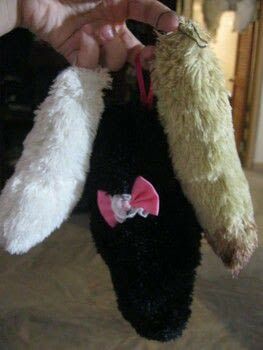 I had these fuzzy stuffed animals that I didn't really want - but I have this thing where I can't throw away stuffed animals & I don't know why. So I chopped them up & sewed them into these cute tails that I've been wanting for some time. 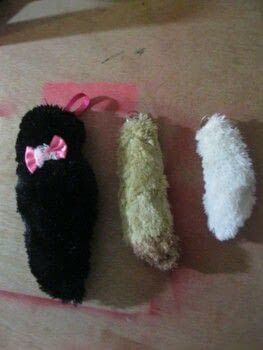 I made 3 in different sizes. Two smaller tails, one tan & one white from a teddy bear. 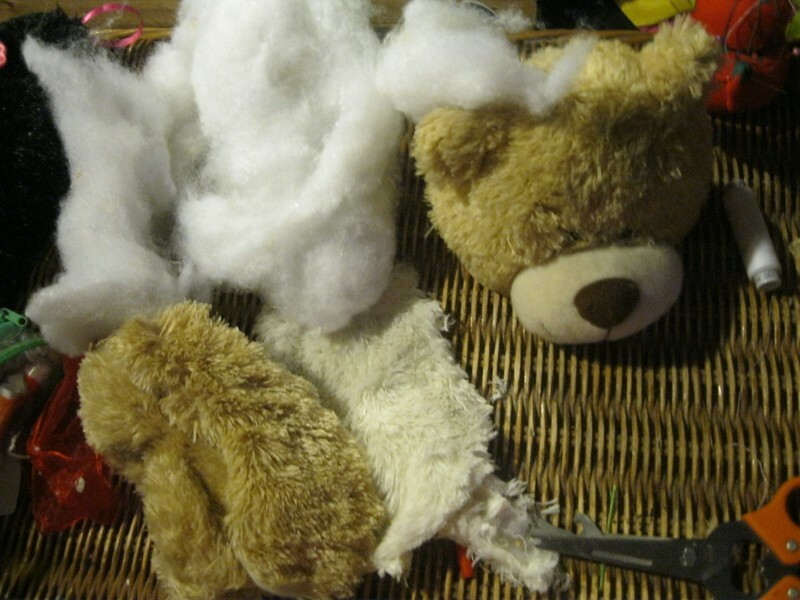 Dismantle your fuzzy stuffed toy of choice & un-stuff him or her. 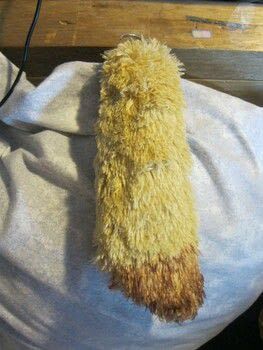 I find the backs of the toys are best to use since the pieces are larger & you can cut the shape of your tail as you see fit. 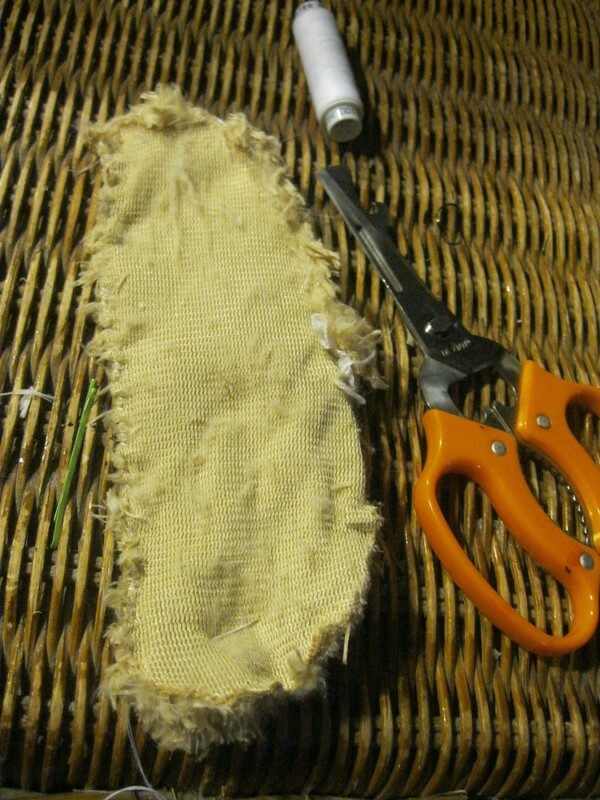 Pin & sew wrong side out leaving an opening to put the stuffing in. 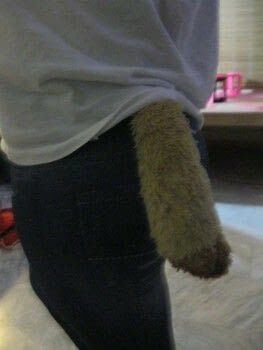 This photo is from the white mini tail. 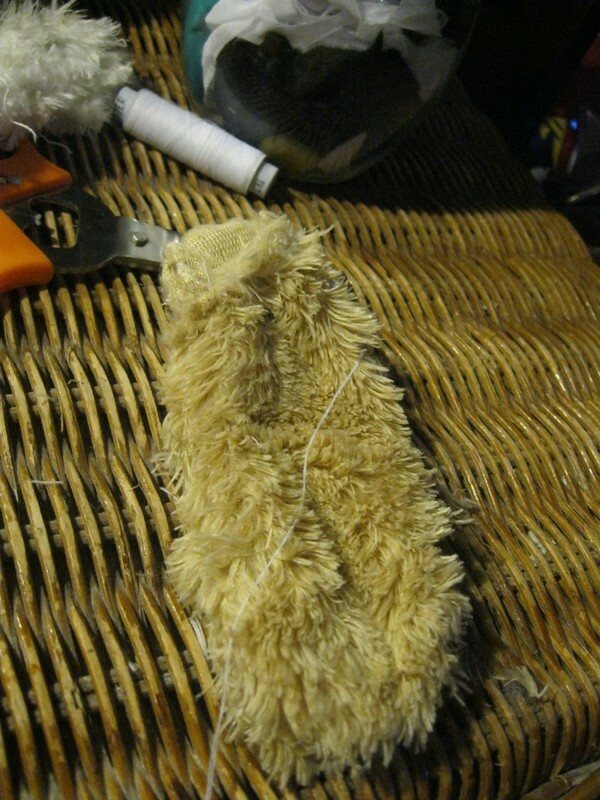 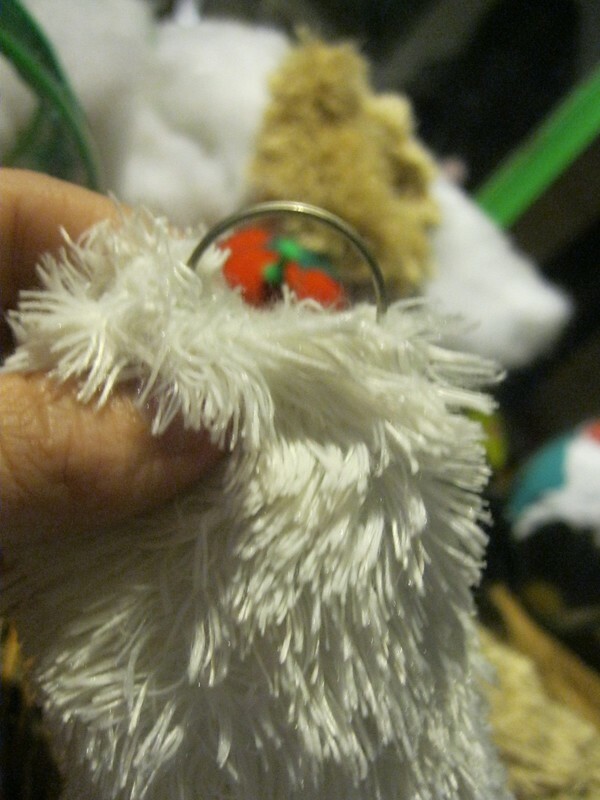 After you stuff your tail - take your Key ring & put it in half way.